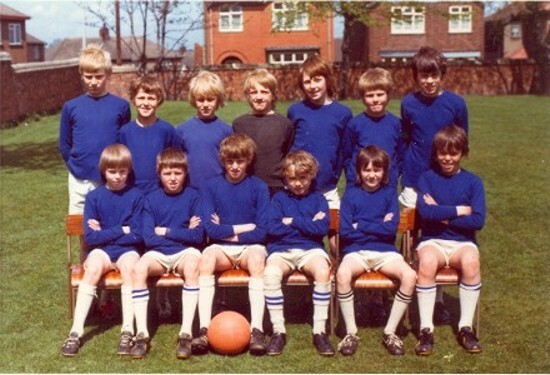 Left to right Back row: J Burgin, J Bamford, M Baker, D Gray, E Fisher, A Claxton, R Phillis, W Severn, B Preist, Mr Hodgson Headmaster, Mr G Johnson PE teacher. Third row: Mrs Morris PE girls, J Wysall, B Robinson, G Gillott, J Soar, N Eley, J Lockwood, J Eley, ?, G Wadsworth, S Radford, P Hodgson. Second row: J Cuttell, M Fowkes, Edna Lacey, N Roberts, Dorothy Housley, J Short, J Horsley, D Saxton, S Hawkins, E Phillips, J College, S Longdon, T Belfield, J Perkins. Front row: T Taylor, A Hutsby, J Needham, J Robinson, E Singleton, B Pear, P Waller, D Lockwood, D Tunnicliffe, R Gilbert, W Allsop, F Hazeldine. Displayed courtesy of John Robinson. 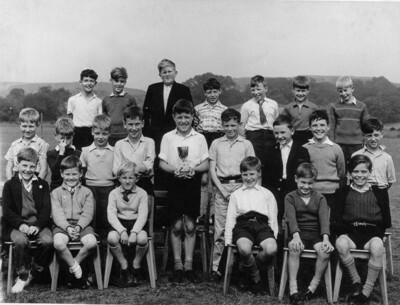 Back Row Left to Right: Pat Hodgson (Standard Bearer), Area Commissioner, Ralph Hodgson (headmaster), Janet Stone, Ann Sault. 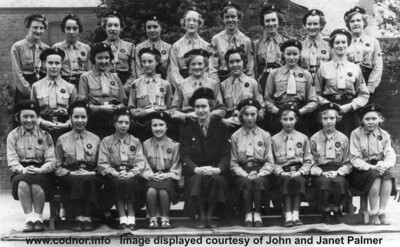 Second Row: Jean Day, Lorna Robinson, Marilyn Murfin, ?, ? Front Row: Pauline Bamford, Jean Horsley, ? Back Row Left to Right: Lorna Robinson, Maureen Bunting, Janet Mallen, Yvonne Jenkinson, Ann Sault, Pat Hodgson, Jill Lockwood, Jean Middleton, Joan Baker. 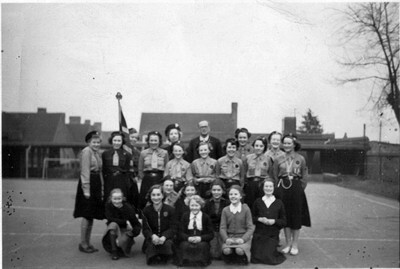 Middle Row: Glenice Hickingbottom, Marilyn Murfin, Ann Ford, Enid Phillips, Jean Argyle, Jean Day, ?. 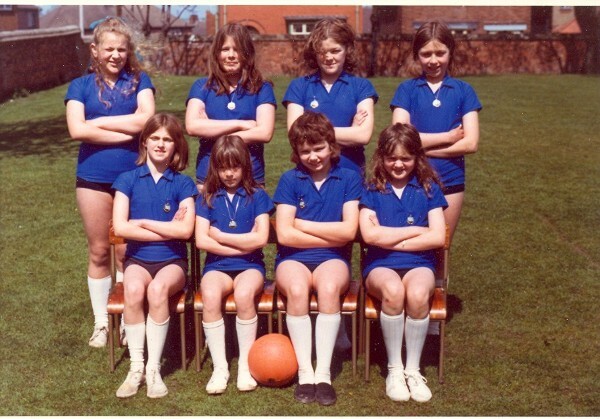 Front Row: Janice Matkin, Sandra Bunting, Norma Allsop, Helen Smith, Jean Craven (teacher and guide leader), Dawn Bateman, Yvonne Riley, Sandra Richardson, Maureen Grainger. Left to right Back row: Mr Pratt (PE teacher), A Richardson, M Gregory, George Searson, W Anthony, B Preist, Mr Weston. Front row: A Cox, J Robinson (Cpt), D Tunnicliffe, R Gilbert, M Waterall. Displayed courtesy of John Robinson. 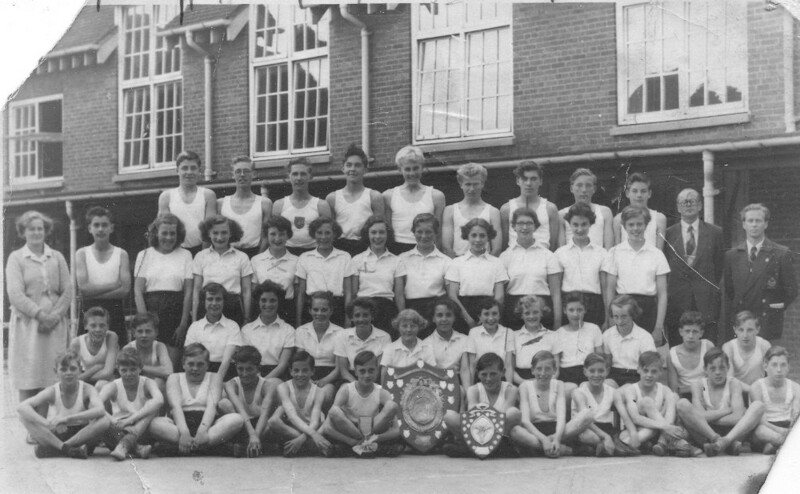 Fig.5 Dated 1961, could be sports day Codnor Miners Welfare? 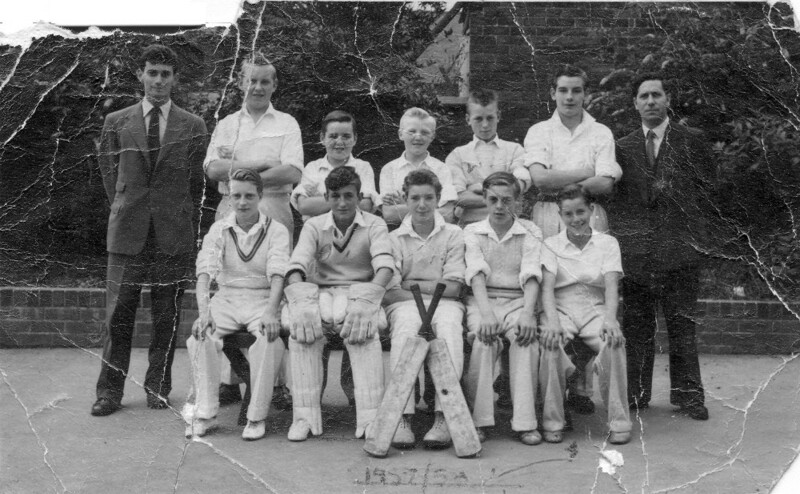 Back Row Left to Right: Kenny Shaw, Peter Ward, Peter Todd, Mick Leek, Arthur Thorpe, Roger Mann, John Hague. 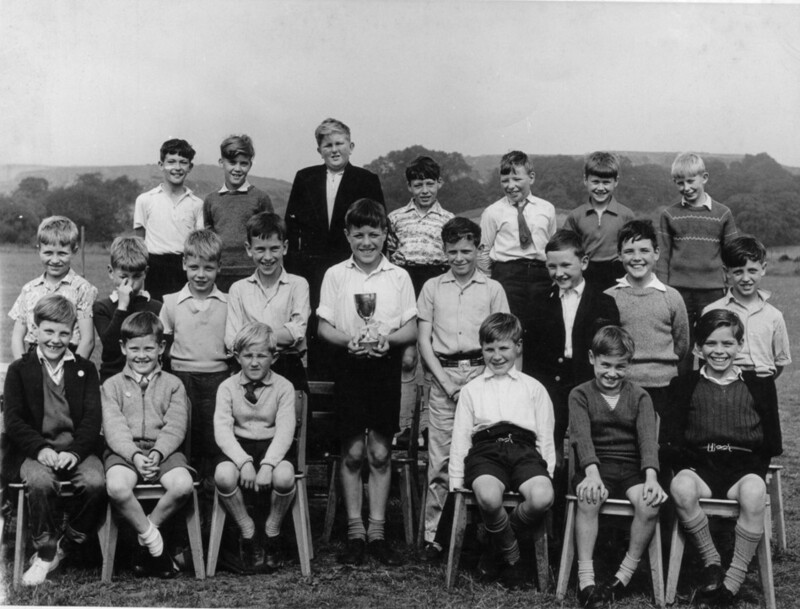 Middle Row: Dave Taylor, ?,?, Bill Bradley, Ronnie Merrett holding trophy, Colin Eyre, Paul Fowkes, ?, Terry Woodward. Front Row: Left to Right Steven Gee, Paul Goodrum, Mark Goodrum, John Matkin, Steven Holmes, Mark Woolley. Mundy street School Netball Tournement. Back Row: Left to Right Jeane Perkins, Elaine Thorpe, Karen Pugh, Andrea Berry. 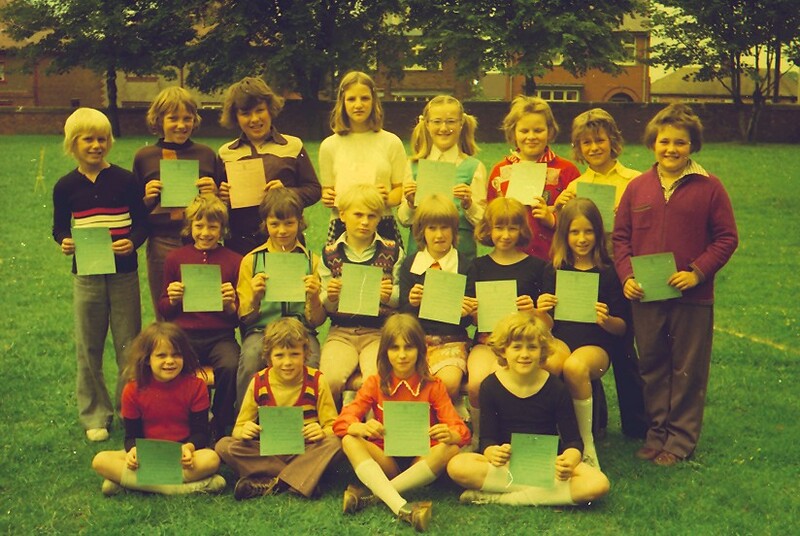 Back row: left to right Susan Hall,Lynne Hargreaves,?,Julie Gilbert,Alison Holmes,Christine Hawley,Gillian Berry,Vanessa Birks,Angela Brown,Helen Haymes,Christine Tyler. Front row: Deborah Parkin, Jeanette Severn, ?, Julie Birkin,(? Housley), Lisa Marshall, Donna Seal, ? Fig.9 Unknown Club early 1970s. Information needed. Back Row: Ian Durose, Lee Aldred, Phillip Lacey, Susan Stanway, Jeanette Mellor, Alan Williams, David Hall, Christopher Brown. 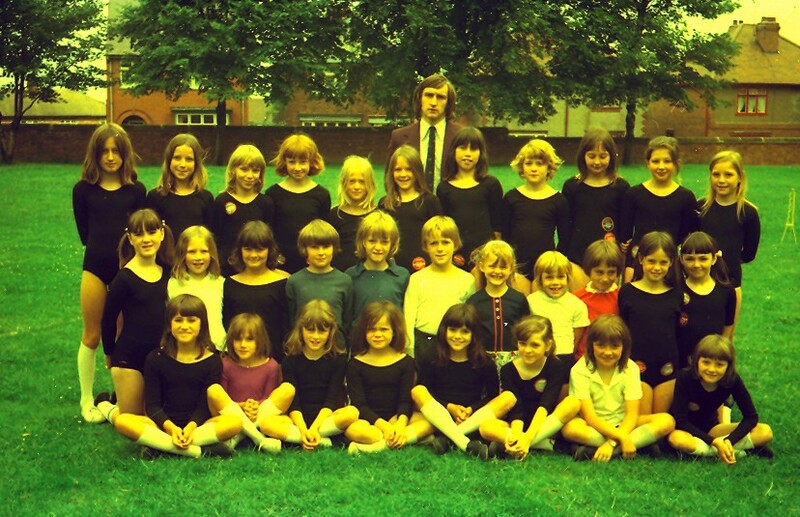 Middle Row: Andrew Nicholls, Steven Gilbert, ?, Katherine Poynter, Julie Gilbert, Lynn Hargreaves. Front Row: Julie Birkin, Grant Aldred, Jackie Swift, Vanessa Birks.